US Naval Institute Press, 9781612519029, 288pp. While scores of books have been published about the atomic bombings that helped end World War II, little has been written about the personal lives and relationship of the three men that led the raids. 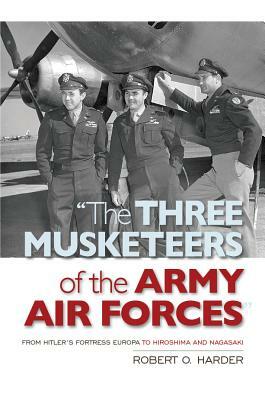 Paul Tibbets, Tom Ferebee, and Ted �Dutch� Van Kirk exemplified what Life Magazine meant when in 1942 it called the B-17 pilot, bombardier, and navigator �the three musketeers of the Army Air Forces.� A former navigator-bombardier and pilot himself, Harder brings a fresh perspective to an otherwise well-known narrative. He provides a rare insider�s look at exactly who these three fellows were, how they were trained, what they meant to each other, and finally how everything coalesced into the Hiroshima and Nagasaki attacks.